We Japanese inhabitants have been also informed of changes in embarking on NH’s aircrafts arrangements at their domestic flight boarding gate after 1st of Oct. Persons who ride in aircrafts conducted by NH will be requested to board correspondingly with the boarding group imprinted on the airport-delivered boarding pass. Of course the pre-boarding benefit will only be ready for use before each boarding group is asked to board. #1 passengers requiring assistance with a wheelchair, etc. Since I only fly by ANA on the international first class, ANA's boarding priority is not a big deal for me at all, but I don't think they offer pre-boarding priority for Japanese military personnel. That is the significant difference between the country where gave up a war and the country continuously battling with others. 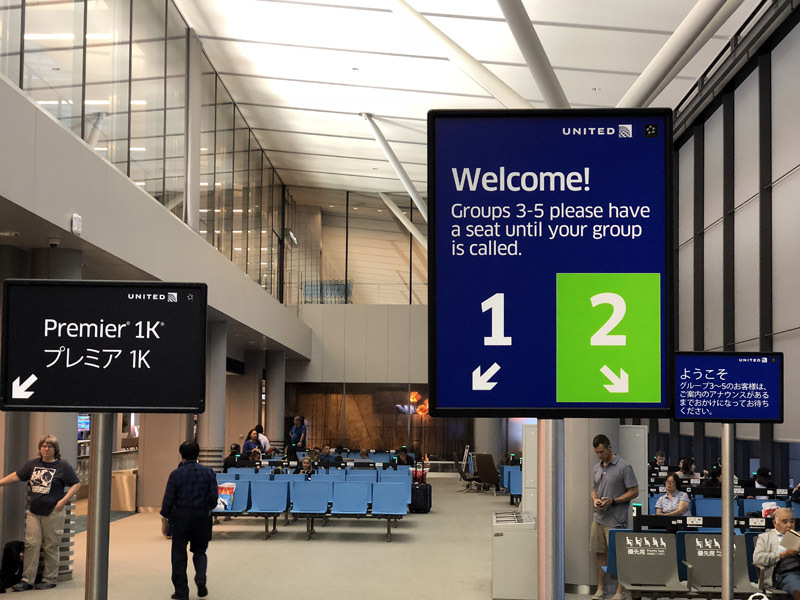 Soon Star Alliance elite criteria will be modified (higher ranking will be added) then the boarding priority must be re-modified again, I guess. The boarding priority is not only for treating loyal customers but the entire efficiency of the boarding process. Therefore the boarding for window-side and/or tail-side seats are prioritized before the isle-side and/or front rows seats. Main cabin (often introduced as the place for livestock) seating efficiency is a key to be the on-time departure. That’s why the air carriers are doing try-and-error procedures. Anyhow, as a lifetime Star-Gold and UA Premier® Platinum member (Lifetime Group 1) as well as a Uniformed Services, I will be okay for boarding airplanes on most of the cases.